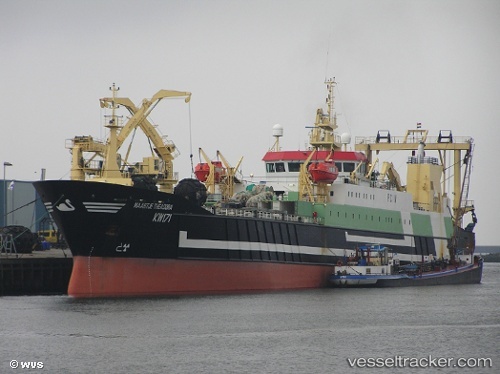 The Westbank Hochseefischerei in Sassnitz, the owners of the "Maartje Theadora" were sentenced to pay a fine of 580 000 Euro by a court in Cherbourg on Dec 18. The owners agreed to plead guily as they were requested to pay a deposit of 1,245 million Euro in case the matter would stay at court for a longer time. The ship's crew was accused to have undertaken illegal fishing for mackerels and to have combined different kinds of nets to have a larger catch. The owners which belong to the Dutch Parlevliet & Van der Plas first had denied the accusations and talked of wrong logs.